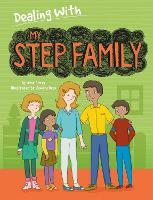 Family; friendships; and fun, diverse, real-life situations and issues. The brand-new book by Susie Day, for girls growing up in a real, modern world . 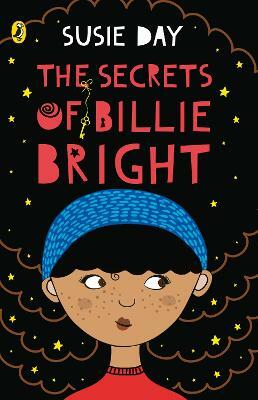 . .
Billie Bright's family is pretty big for one that's got somebody missing. There's Billie who is a girl Billie and eleven and about to go to secondary school. Then there are her three big brothers and her Dad, who also runs the cafe under their flat. Life's loud but Billie likes it, even without her mum there any more. But with the new school comes having to make new friends and all kinds of other grown-up things to deal with. And at home it feels like all her brothers are keeping secrets from her. So when she decides to do a project on her mum, she has to do all the research herself and ends up finding out all kinds of things she doesn't expect to . Susie Day grew up by the seaside in Penarth, Wales, with a lisp and a really unfortunate choice of first name. Between books, she works as a copywriter in Birmingham, crochets ridiculous jumpers and inhales tea. Susie now lives in Coventry, England with her partner and a black cat named Pantalaimon.